One sixth of all deaths in the U.S. are caused by hospital mistakes. A hospital is supposed to help people get better. However, an alarming number of deaths are not caused by the illnesses that sent people to the hospital in the first place; tragically, hundreds of thousands of deaths are caused by mistakes made by medical personnel. According to a report published in the Journal of Patient Safety, preventable hospital errors are responsible for about 440,000 annual deaths. This makes medical errors the third leading cause of death in America, behind heart disease and cancer. Also shocking is the fact that 10 –20 times that many people suffer non-deadly yet very serious injury that is caused by medical mistakes. The numbers are based on several studies that examined preventable harm suffered by patients, called “adverse events,” using a screening method called the Global Trigger Tool. This tool helps researchers go through medical records and find signs of infection, injury or error. Flagged records are then reviewed by physicians who determine how much harm each patient suffered. The study was developed by John T. James, who is the founder of an advocacy group called “Patient Safety America.” James is a NASA toxicologist, and he has written a book about the death of his teenage son, whose death was caused by hospital negligence. Experts on patient safety stress the importance of determining just how many deaths and serious injuries are caused by medical mistakes because the information can help people become aware of the problem. More awareness should lead to an increase in research funding to study this important public health problem that shows no signs of improving, despite decades of improvement efforts. “We need to get a sense of the magnitude of this,” James told a reporter. In the recent study in the Journal of Patient Safety, investigators discovered serious adverse events in approximately 21 percent of cases, and rates of deadly adverse events occurred in about 1.4 percent of all cases. An annual rate of death of 440,000 caused by medical mistakes “is roughly one-sixth of all deaths that occur in the United States each year,” James wrote in his study. He also discussed other studies that show that hospital reporting systems and peer-review capture only a small portion of patient injury and hospital negligence. Dr. David Classen, one of the creators of the Global Trigger Tool, said the study is good use of the tool and a “great contribution.” Classen said that it is important to update the numbers from the well-known “To Err Is Human” report because in addition to the suffering caused by medical errors, preventable injuries are very financially costly. Dr. Marty Makary, a surgeon at The Johns Hopkins Hospital, wrote a book called “Unaccountable.” In the book, Makary demands greater transparency in medical care, and he said that the James estimate shows that eradicating medical errors must become a national priority. Makary also stresses the importance of increasing awareness of the potential for unintended consequences that can occur when physicians perform procedures and tests. The risk of harm needs to be part of the discussion with patients, Makary claims. The number of deaths caused by medical errors gets worse with each new study. In 1999, the Institute of Medicine published “To Err is Human,” which stunned Americans when it reported that 98,000 people a year die from hospital errors. Initially, people did not believe that number, but it soon became accepted as accurate. In 2010, the Office of Inspector General for Health and Human Services said that negligent hospital care contributed to the deaths of 180,000 Medicare patients alone in a one year period. The American Hospital Association (AHA) spokesman Akin Demehin has told reporters that the AHA is sticking with the Institute of Medicine’s estimate, as opposed to the James’s recent research. Demehin stated that the Institute of Medicine’s figure is based on a larger sampling of medical charts and that there is no agreement among professionals that the Global Trigger Tool can be used to make a nationwide estimate. Demehin claims that the Global Trigger Tool is better suited for estimates of errors in individual hospitals. Of course, the AHA is not even trying to come up with its own estimate. Dr. David Mayer, the vice president of quality and safety at MedStar Health, said that people can make arguments about the number of deaths each year caused by medical errors, but that is not the point. All estimates illuminate a crisis, Mayer said. WHAT FATAL ERRORS ARE OCCURING IN HOSPITALS? Many of the errors that are killing patients occur when a patient undergoes diagnostic tests and medical procedures. In addition, medication errors also are causing a large number of fatalities. A study by the Institute of Medicine found that approximately 30 percent of all medical procedures, tests and medications may actually be unnecessary. During the last 2 years, the American Board of Internal Medicine Foundation has released reports on the most overused tests and treatments that provide limited or no benefit at all – or cause more harm than good to the patient. The list currently includes 135 tests and treatments. In fact, a report by the Mayo Clinic found that somewhere between 40 and 78 percent of all medical tests, treatments and procedures are of no benefit to patients and can actually harm them. Other errors that cause preventable deaths in patients include diagnostic errors, errors of omission and failure to follow guidelines. With hospital negligence shockingly prevalent, it is crucial for patients to take an active role in their medical care. Patients should never be afraid to ask questions. In the context of pregnancy, labor and delivery, medical mistakes can cause a baby to have a brain bleed, become oxygen deprived, or develop toxicity or infection in the brain. Medical negligence can cause permanent brain injuries in an infant, such as hypoxic ischemic encephalopathy (HIE), cerebral palsy and intellectual and developmental delays. 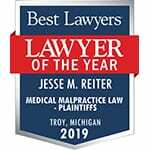 If you or your baby has been injured as a result of a hospital error, please contact the nationally recognized attorneys at Reiter & Walsh ABC Law Centers for a free consultation. 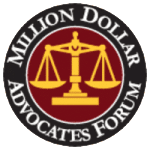 Our award winning attorneys have decades of experience in the field of medical malpractice, and our numerous multi-million dollar verdicts attest to our success. Email or call us at 888-419-2229.